If you go through my recipes from the last few months, you’ll notice that I seem to be spending a lot of time on Epicurious. Yes, a lot of the ingredients on there, are not easily available, but that’s exactly why I play around with the recipe. The minute I saw this, I knew I had to try it out. It looks so vibrant and colourful, but also so simple. 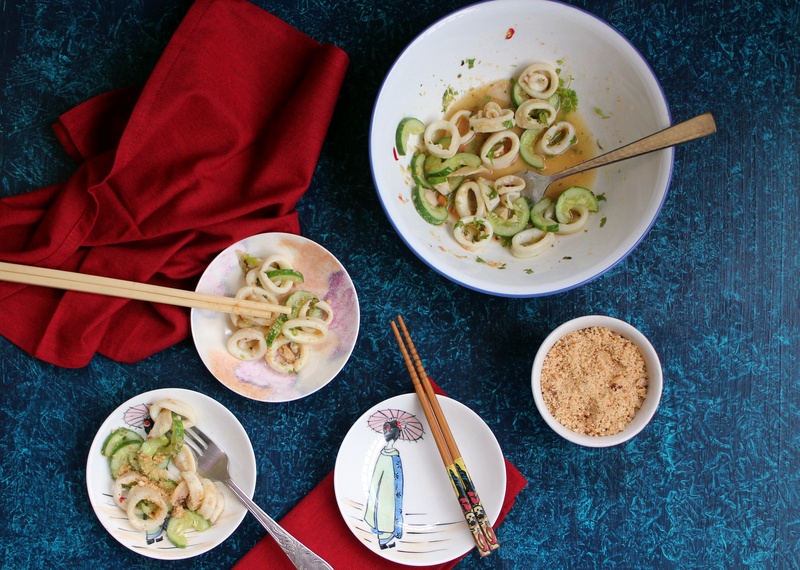 Start by cutting the tubes of squid into rings, and blanching them in lightly salted water. Cut some cucumber into rings, ensuring you take out the core. 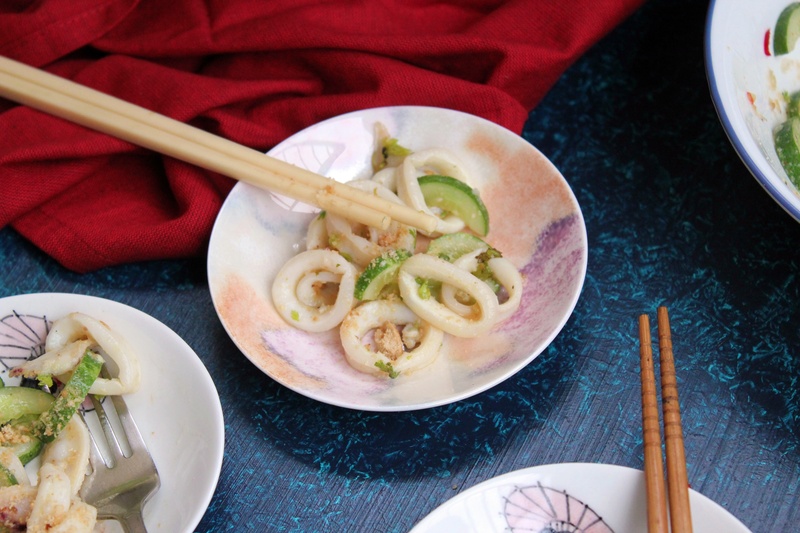 Once the squid has been blanched and cooled, you can start on the dressing. 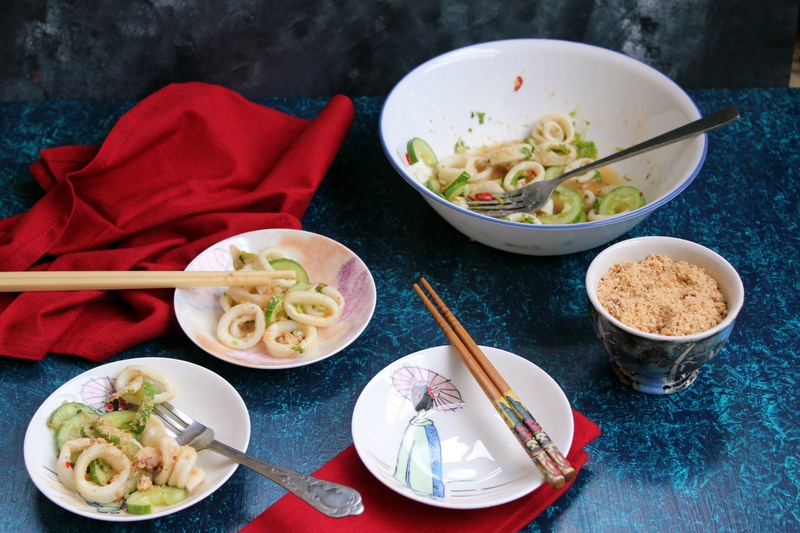 In a bowl whisk together some fish sauce and honey. 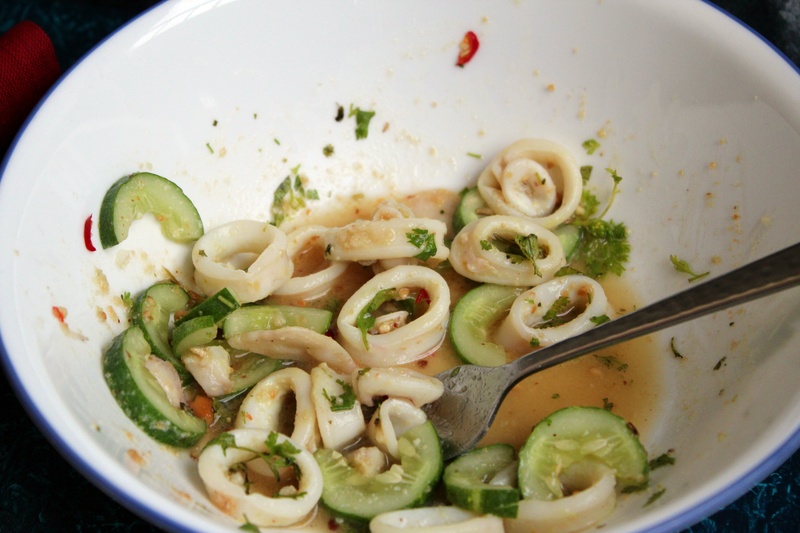 Add some red chilli and a little lime juice to give it a punch. 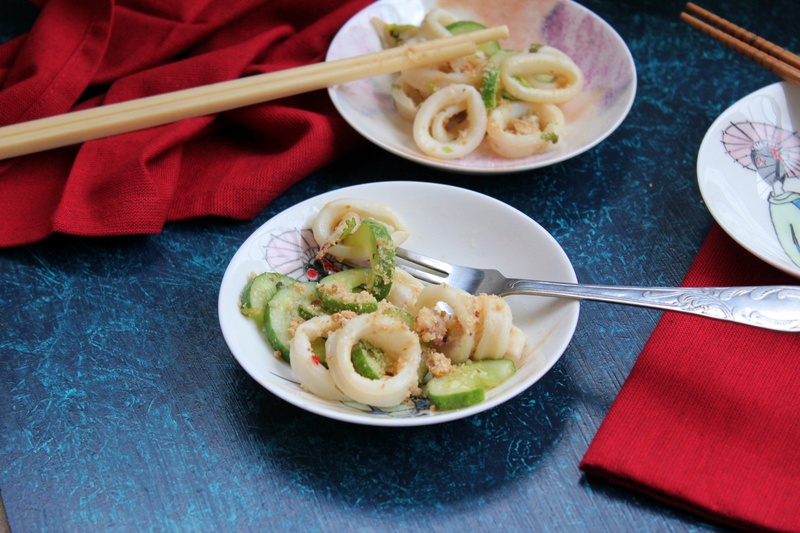 Toss the cucumber and squid with the dressing, adding some chopped coriander and crushed peanuts. 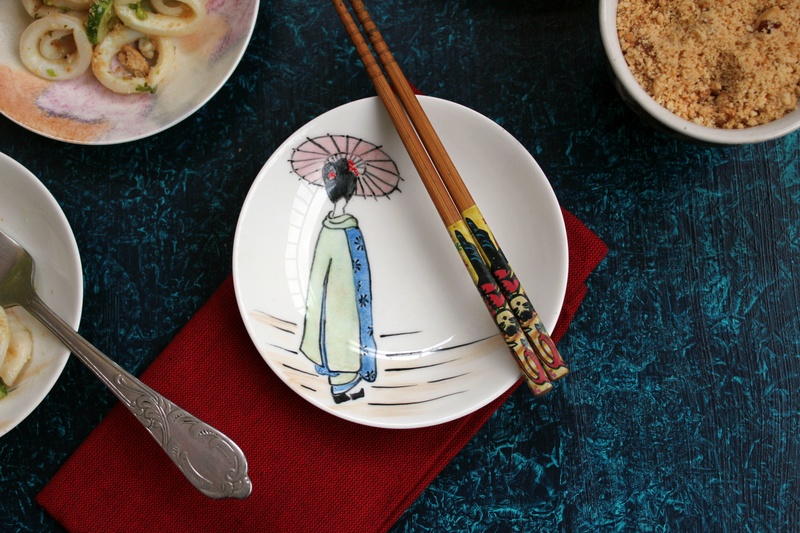 Give it one final toss, and serve, garnishing with some more peanuts.